It has been an interesting few seasons for Nick Foles. The Eagles quarterback has gone from nearly being out of the league to Super Bowl MVP to becoming one of the most sought-after quarterbacks in the league. 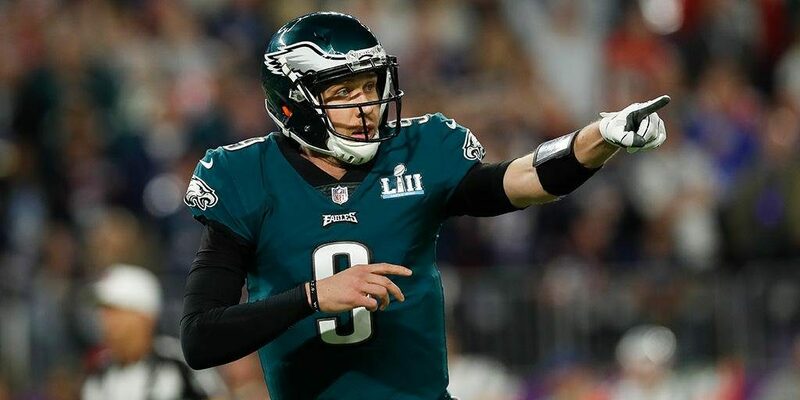 Any team in need of an upgrade at quarterback would be foolish not to consider trying to acquire Foles, whether via a trade with the Eagles or free agency. While the Eagles could hold onto him for another year if they wanted to, doing so would be foolish. The Eagles aren’t going to keep him. He’ll be available to whoever really wants him. It’s just a matter of how he’ll be available (either via trade or free agency). So—who’s going to land him? We can go ahead and take the Carolina Panthers off the list. 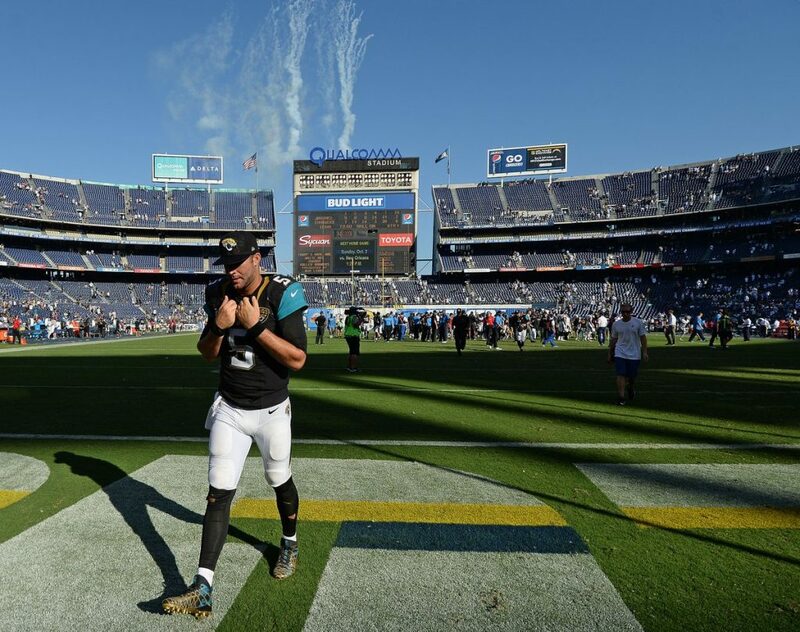 There is no way they are going to sit Cam Newton (who is expected to be fine for the start of the season). Bruce Arians has already thrown his support behind Jameis Winston, so it is unlikely he’ll be going to Tampa Bay either. Oakland Raiders head coach Jon Gruden and his quarterback, Derek Carr, seemed to have a lot of trouble getting on the same page last season. However, Carr’s 2019 salary is fully guaranteed, which makes it unlikely Gruden will be in the market this year. The Giants need help. Eli Manning is long past his prime, but they are more than likely going to look for someone in the draft with their whole career in front of them. Foles, on the other hand, is halfway through his. Case Keenum didn’t have a great year in Denver last season, but it is unlikely the Broncos are going to be willing to cut him loose and take a $10 million cap hit. It is more likely that John Elway drafts another QB this year. That leaves the Washington Redskins, Jacksonville Jaguars, and Miami Dolphins. If the Washington Redskins were closer to becoming legitimate contenders, they would be a good choice. As things stand for them, they do not have a starting quarterback for next season. So, the need is there. But unless they feel like they can win the division and be competitive in the playoffs, it doesn’t make a lot of sense to spend $25 million on a quarterback next season. They may be better off drafting someone or acquiring a journeyman QB like Ryan Fitzpatrick. As for the Dolphins, they are expected to cut Ryan Tannehill loose once the offseason begins. There has simply been too much bad football and not enough good from the Texas A&M product. However, at the same time, the Dolphins would still owe him over $13 million over the next two years if they make him a post-June-1 cut. While it may be hard to do since it would mean knowing the team is not going to compete in 2019 but holding onto him for one more year would be the prudent financial move. Besides, it would be hard to say that just a change at quarterback would make them competitive. The Jacksonville Jaguars, on the other hand, absolutely could be more competitive with a different quarterback. Despite all their struggles last season, the Jaguars still had a top-five defense. They were fourth in scoring, second against the pass, and 19th against the run. They had their flaws, but from a defensive perspective, they were still a competitive team. They just couldn’t score. Part of the problem was not having Leonard Fournette for most of the season. But they had a talented group of wide receivers; they just didn’t have someone that could get them the ball. Had they had one, the season would have gone quite differently. It will cost them to let Bortles go and acquire Foles. But ownership is tired of losing. Shahid Khan has never been afraid to spend before. There is no reason to think he will be now.